Patricia PacJac Carroll here again to talk about gardening and the Old Farmer’s Almanac. Me a farmer? Well, it’s a stretch but thanks to my sweet son, I do have a garden this year. You can see me and my wonder dog Jacs are lying down on the job, but we are excited about getting fresh vegetables. I am not sure the Old Farmer ever farmed in Texas. I have tried gardens at various times with much the same result. Great excitement in March, April, and May. Then June comes bringing heat with it. Ugh! Ever try to pull weeds when it is HOT!!! And the ground like cement? Not fun. One year, I did have success with the small-sized tomatoes. My neighbor had the immaculate garden. Mine? Not so – my lines were never straight. Not sure what I planted where. My theory - if I don’t know a pepper from a tomato I don’t deserve to eat it. As the months rolled on, my neighbor’s nice garden didn’t fare so well. Mold and bugs got her tomatoes. I’d forgotten about my garden. So one day I trotted out to my weed patch and poked through the above-knee-high intruder plants. What a surprise! I had more little tomatoes than I knew what to do with. So we ate them like grapes. Apparently, no bugs could find my tomatoes.That was probably my best effort. I refer to it as my camouflaged garden. Click here to go to the website> The Old Farmer's Almanac. You'll find a treasure trove of interesting facts and stories. I have always wondered what they were. Never had one. Wasn’t sure if you had to be an old farmer. I am certainly getting closer to the age description, farmer is still questionable. But I bought an Almanac this year just to see what it was about. The almanac started as a calendar for planting, tides, weather, astronomy, and you name it. That hole in the corner? Started by fans of the Almanac who wanted to keep it handy. So they punched a hole and drew a string through it to hang in the barn, kitchen, even outhouse. Later when technology became available, the good folks at the magazine punched the hole for convenience. Hmm. All kinds of interesting things. The Almanac is rich in American history. Benjamin Franklin had Poor Richard’s Almanac. The Old Farmer’s Almanac, begun in 1792, is the oldest publication and longest running magazine in the US. Abraham Lincoln may have even used the Old Farmer's Almanac to help a client win a case in 1857. Since my attack by breast cancer, I have begun to eat veggies. Lots of veggies. Although they aren’t as good as the juicy hamburgers I am used to, I am learning to enjoy them. (sort of) But they are good for us. And nothing better than a homegrown tomato. Do you like to garden? What are your favorite flowers? Her next book, Golden Dreams, will be out Soon. Katy and Rev find out that you have to go through your past to reach your dreams. And on her blog [Invasion of the Booby Snatcher] about her journey to healing from breast cancer. Give away on my blog for Kathleen L. Maher's new book about the civil war. Look at that lovely cover!! Can't wait to dig into this story. 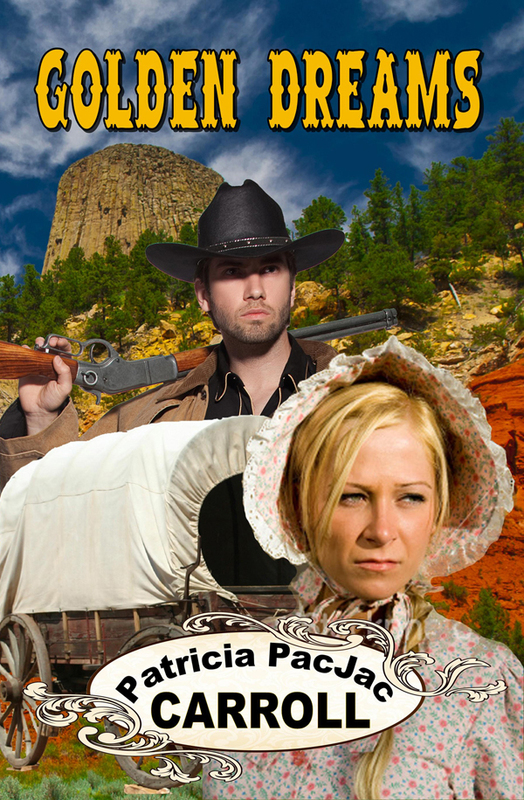 Bachelor Buttons: Rose Meehan must choose between two suitors when the 1863 Draft Riots break out in Manhattan. on 05/14/13 at 5:00 PM. You'll want to win this one. Well, I will be moving into a place with a small back yard next month. Not sure if it's too late to start a garden or not. I would love a small vegi garden and a small rose garden. Here's praying I get both and they both flourish! No need to enter me into the drawing. I've already had the pleasure of reading Bachelor Buttons and loved it! God bless. I don't like to garden - can't handle the heat. I love flowers - my favorite are lilacs, remind me of those in my grandmother's yard when I was a child. I love to garden! I am determined to beat the unseasonal frost they're predicting here in upstate NY tonight. I have perennial beds, three vegetable raised beds, and several bulb gardens. I look forward to spring more than any other time of year. Nice article, Pat. I love gardens just hate gardening. LOL> But I do have a large flower garden with perennials. This year I'm going to plant a small vegetable garden. I'm wanting some yummy tomatoes. I only have a flower garden now. In years past I also had a vegetable garden but I found I didn't have enough time to devote to it. I love so many flowers - in the early spring I love to see the tulips come out and throughout the year I like are the many varieties of hostas that I have planted. I have not been very successful on the gardening front, yet. The first year we tried, I kept leaving the garden with itchy blisters. Turned out I was allergic to the radish leaves. But we didn't find that out for a long while. After the garden became overgrown. The next year it rained and rained, flooding our garden so bad we could reach it. Our soil isn't real conducive to gardening. It's thick clay like. I eat a ton of veggies and really wanted a garden. When I came home from dd's dance competition hubs and the kids had a pallet garden planted for me. Zucchini, tomatoes, radishes. I need to get another pallet for squash, carrots and lettuce. Add peat moss and sand to loosen your clay. ha! easier said than done, I know, but it'll work if you really want to garden. I love flowers - so pretty and unique -really show the details of God's creation. enjoyed the comments today on gardening, I love to see one and eat foods from them but don't like the hard work involved. My son is with us for awhile and he has our garden looking tip top shape, all straight rows and everything with a special place to grow. he tills,rakes and keeps it looking nice and when the harvest starts there is always too much of everything. I love the taste of fresh tomato from garden..we have peach trees and other things growing like the grapevines,blueberry bushes I think will have fruit for first time this year...lot of years to get soil just right for them. I don't like gardening, I like having gardened. Uh...where have I heard that before? lol My grandparents and the old timers here in Mississippi were big believers in The Farmers Almanac. Apparently, gardening isn't high on my list since I never do it, but I do enjoy just a smidgen of it. And that's an itty-bitty smidgen! My mother-in-law has the most beautiful yard in this part of the country. She has a green thumb for sure. Me...not so much. Patricia, I remember my Dad buying the Farmer's Almanac every year. He would look at the planting information, but I loved reading all the trivia. The little book was full of fascinating information. I haven't read one in years, but this brings back so many memories. Thank you. I'm not the gardener in the family, but I did help. My Dad and Grandfather believed in the Farmers Almanac. They would plant a huge garden together and they used the old hand plow pulled by the mule. One year, we raised so many potatoes we gave them to everyone we knew and still had plenty. I had never picked up so many potatoes. My favorite job was shelling peas and beans. People thought I was crazy, but Mom and Grandma thought I was very valuable. Dad still believes in the Farmers Almanac and he still has his old hand plow and keeps a mule. A tractor is good for bush-hogging. I even see my Mom looking up the Farmers Almanac on the computer. Fresh vegetables taste good especially in the winter. Thank you for entering me in your giveaway. I love to garden. We plant all kinds of vegetables. I actually plant a large garden. I have had as many as 72 tomato plants at one time. I think last year the count was 53. Some years are better than others. I have been awaiting the guy to come and plow my garden and it seems that he just keeps getting later every year. I am thinking about renting a tiller and having my husband do it. I love fried green tomatoes and I love to can salsa and all kinds of good stuff. I will have to check out the Almanac website. Thanks for another chance to win this book. My dad comes out to the farm and we plant a 50' by 80' garden every year. I LOVE fresh veggies! I don't get flowers to do well but this veggie garden does when we aren't in a drought. We are getting ready to drill a well for the farm and hoping to be able to irrigate the garden with it. I honestly don't like the work that goes into it but I can't wait for all the veggies every year! And the winner of the novella Bachelor Buttons is KimLitlePokie! Thank you everybody, and congratulations Kim. I'll be emailing you shortly. Thank you all for the comments. I fell under the weather and felt to yuch to even get on my computer. Now that's bad. But I am back now. thank you Kathleen for handling the give away.